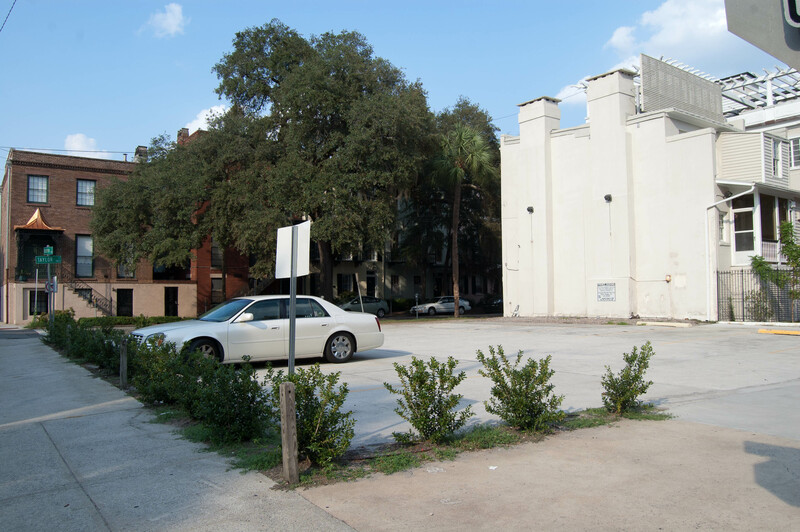 In my City Talk column today in the Savannah Morning News, I write about the depressing news that the large vacant lot at the corner of Drayton and Charlton appears destined to be a surface parking lot for the nearby Andrew Low House. 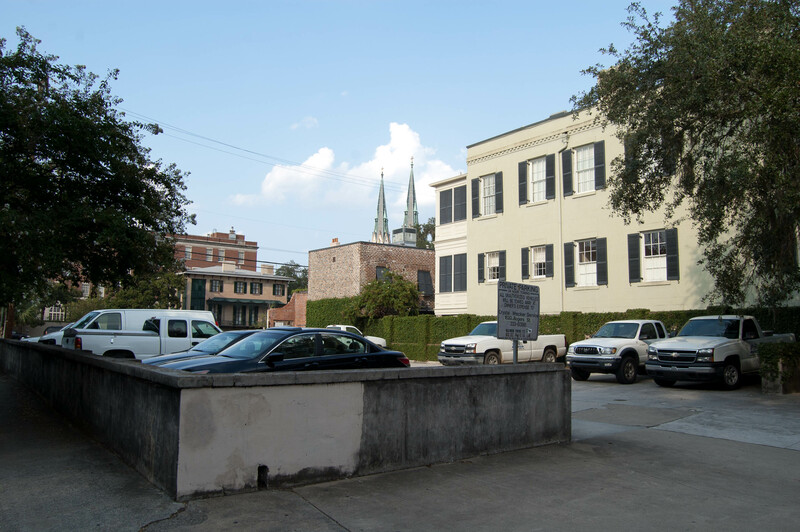 I had hoped that surface parking lots would slowly be whittled out of the Historic District, but depressed land values have apparently raised the odds that organizations with the most cash and with no fear of property taxes — governments, churches, and other nonprofits — might degrade the urban fabric with more surface lots. A parking lot at Drayton and Gordon owned by Wesley Monumental. Doesn't this seem awfully ugly for a city that prides itself on its beauty? From the same parking lot. We can do better than this. Drayton and Taylor. More parking for Wesley Monumental. At least an attempt at landscaping, but hardly any attempt to make the lot look good. A lot at Drayton and Jones owned by EMC Engineering Services, Inc. Not great, but better than some. 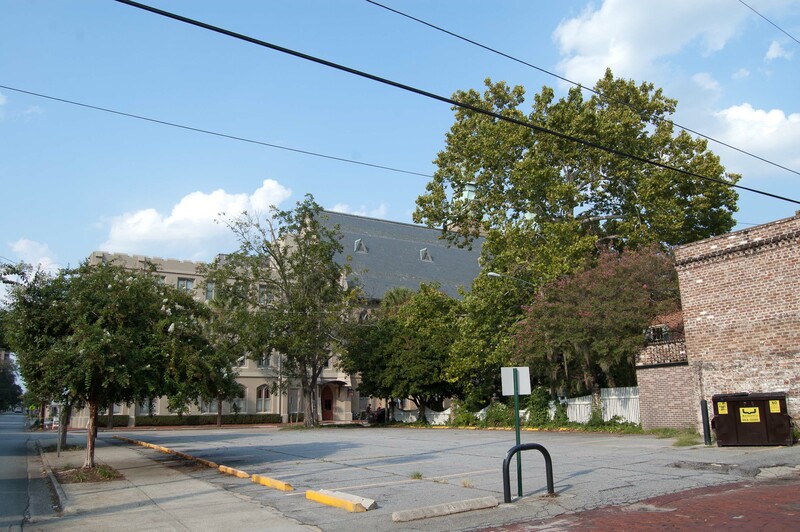 I don't mean to pick on Wesley Monumental; lots of Savannah's churches own ugly surface parking lots, like this ill kept one on Hull St. owned by First Baptist Church. In addition to the obvious ugliness, this one adds insult to injury with the front-facing entrance (there's a lane in back) that takes up two on-street parking spaces. 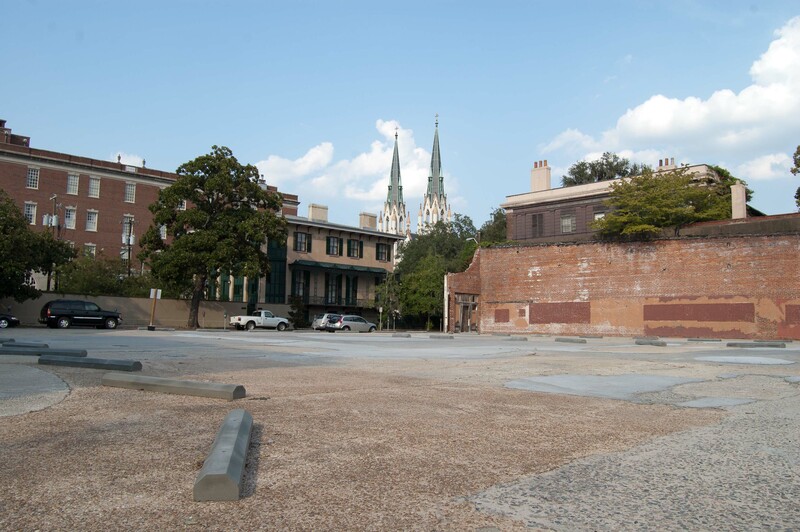 In my dream world, the churches and other organizations that own these lots — which are essentially blight — would step up to the plate and make them look better. And, down the road, they would recognize that these lots and all those like them are detriments to the urban fabric. 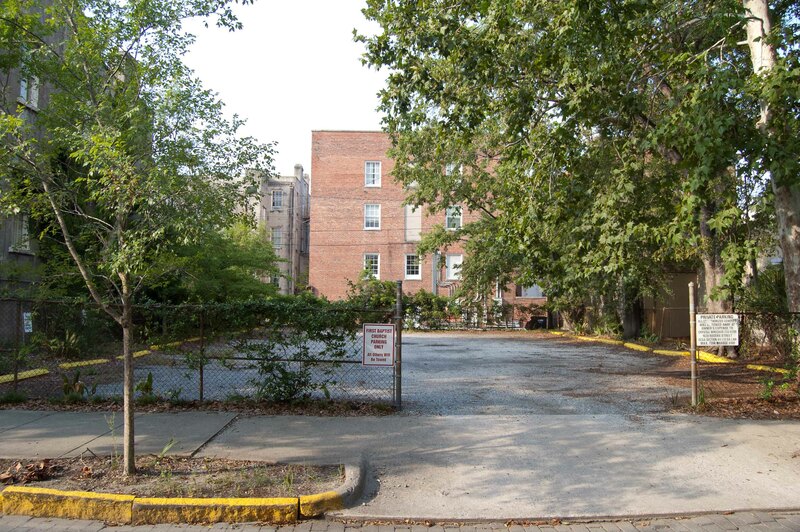 Since the NSCDA-GA purchased the lot in late March, we have been in the planning phase. We will eventually construct a building suitable to the historic district that would provide us with rooms for education, meeting space, staff offices and a museum store. However, we have to finish paying for the lot before we can proceed with this dream. 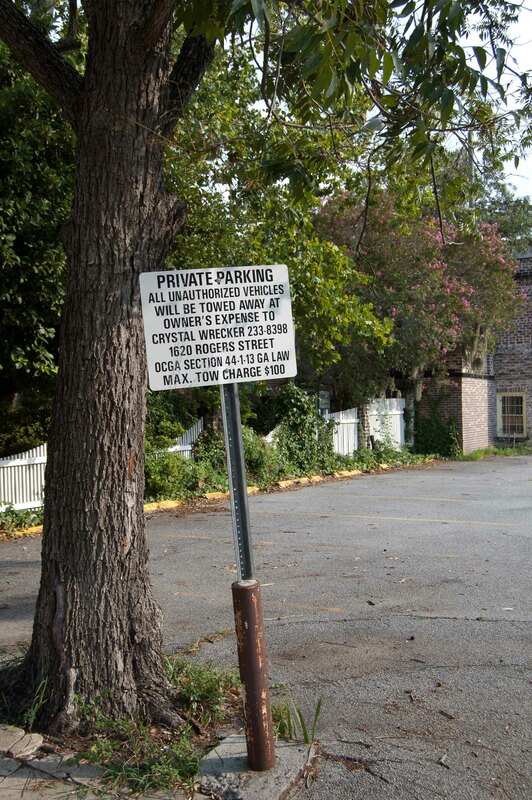 In the meantime, we plan to use the lot for parking for our staff, visitors and volunteers as well as for some paying customers to help pay off our loan. We have just begun our fund raising campaign and hope to be ready to build in the next 7-10 years.